Homeopathic remedies are not mere dilutions. The trituration (ground up) and succussion (shaken) process is intended to “strip away” the material aspect of a substance, typically plants and minerals, while intensifying its “energy signature”. It is this “energy” which is thought to somehow stimulate the patient’s vital force. 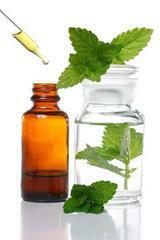 Homeopathy is different from conventional treatment in that a homeopathic remedy is individualized to the person. Because every person is different, no single homeopathic remedy will work for everyone. A remedy is selected based on a person’s unique set of symptoms, including (but not limited to) their specific physical symptoms. Therefore, seeking care with a homeopathic healthcare provider will likely result in the greatest success. NOTE: Always discuss with your physician and a reputable homeopathic practitioner before using any homeopathic remedies. Only a highly trained and experienced homeopath can determine which of the available remedies would be right for a specific patient in any given chronic health condition. In general, if you have a serious health problem, seek and rely on the advice of health professionals. Homeopathy, or Homeopathic Medicine, is the practice of medicine that embraces a holistic, natural approach to the treatment of a sickness. It is a holistic approach because it treats the person as a whole, rather than focusing on a diseased part or a labeled sickness. Homeopathy is natural because its remedies are produced according to the U.S. FDA-recognized Homeopathic Pharmacopoeia of the United States from natural sources, whether vegetable, mineral, or animal in nature. In fact, Homeopathic medicine has a centuries old history of safety in use among patients of all ages, including babies, children, pregnant and nursing women, and senior citizens. Officially recognized under the 1938 Food, Drug, and Cosmetic Act, the 1965 Medicare Act, and the 1987 FDA Compliance Policy Guidelines, these safe, gentle but deep-acting homeopathic remedies can be used to treat persons experiencing many kinds of medical conditions. However, always discuss with your physician and a reputable homeopathic practitioner before using any homeopathic remedies. The North American Society of Homeopaths (NASH) has a directory of practitioners, including their credentials. The guiding principle of Homeopathy, the “likes cure likes” principle, is a concept that disease is cured by a medicine that creates symptoms similar to those the patient is experiencing. A homeopathic physician prescribes a homeopathic remedy that best matches the patient’s symptoms after a detailed, comprehensive interview of the patient to reveal the physical, psychological and emotional characteristics and complaints. That homeopathic remedy (the similimum) is given to the patient to stimulate his/her being to heal: likes cure likes. Over the years, by means of “provings”, toxicological data, and clinical experience, the homeopathic drug pictures of over 2000 substances have been derived. The second principle of Homeopathy is the minimum dose, which has two parts. First, the homeopathic doctor prescribes only a small number of doses of the homeopathic medicine and waits to see what effect the medicine has. Second, the remedy is given in an infinitesimal dose, which actually has the maximum therapeutic effect with the fewest side effects. The third principle of Homeopathy is the single remedy, which states that a single homeopathic remedy should cover all the symptoms the patient is experiencing: mental, emotional and physical. Most homeopathic practitioners prescribe one remedy at a time. The homeopathic remedy has already been proved by itself, which produces its own unique drug picture. That remedy is matched (prescribed) to the sick person having a similar picture. The results are observed, and uncluttered by any confusion of effects that might be produced if more than one medicine were given at the same time. A holistic approach to life includes active participation in your health decisions and healing processes, and to make wellness-oriented lifestyle choices. Our goal is to provide you with all natural health remedies for symptom relief of common conditions and ailments, that are chemical-free and without the risk of side effects. We urge and encourage you to take a sensible, balanced approach to healing yourself, your family and your pets. Always consult your physician, develop a healthy lifestyle and always use your natural remedy as directed.